Andrew Watson founder and head coach of AWI Coaching has been racing Road, XC Mountain bike and his favorite discipline cyclo-cross since 1996. Andrew is a highly accomplished racer having won 4 Canada Cup Championships in XC MTB and multiple Provincial Championships across four disciplines MTB XC, Road, Hill Climb and Cyclocross as well as having raced internationally in World Cups, Pan American championships and UCI races across Europe, the Americas and reaching as far as South Africa and China. Andrew was a proud member of the Canadian National Cycling team from 2004 to 2012. Over those years he attended two Continental Championships, five World Championships and was part of the team that traveled to the London Olympic test event in 2011. Andrew has been coaching and mentoring younger athletes for years but has been formally coaching private clients and youth teams since 2012. He believes in a holistic approach to coaching always looking for a balance between the science and mechanics of training and the sometimes hectic world we live in. Andrew Watsonhas dedicated years and countless hours to learning the physics, mechanics and nuances of riding and teaching different types of learners and all ages. Andrew is a NCCP Competition Development coach (Level 3) as well as a certified PMBIA Level 2 Air Instructor. Andrew is also a NCCP trained course facilitator delivering MTB Skills and Tactics as well as Basic Cycling Skills Modules. 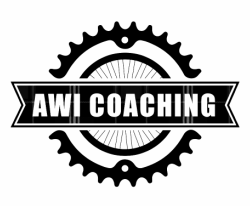 The ideal client for Andrew is anyone with a desire to improve their cycling be it on the road or off, whether it be someones first ride since childhood or looking for the top step of the podium, AWI Coaching can help.